DigiGirlz is a Microsoft YouthSpark program which gives middle and high school girls opportunities to learn about careers in technology, connect with Microsoft employees, and participate in hands-on computer and technology workshops. Microsoft Ghana partnered with Airtel Ghana through it’s Evolve with STEM initiative for the first Ghana edition of DigiGirlz day. 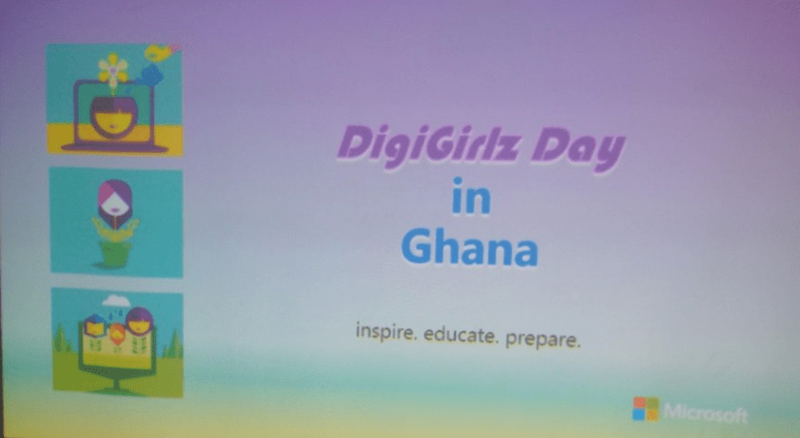 DigiGirlz day took place at the iSpace Hub in Labone and had about 60 girls participating in the program. The program brought in to mentor the girls, Lucy Quist; Managing Director of Airtel Ghana, Elizabeth Patterson; founder and director of Girls Education Initiative of Ghana, Anita Erskine; founder of Brand Woman Africa, a media entrepreneur, TV & Radio host, Anne Amuzu; co founder Nandi Mobile, Larissa Bowen-Dodoo; founder of Levers in Heels, Florence Toffa; Director of Mobile Web Ghana and founder of Fime Project and others. It’s been an exciting time spent with all the participants of DigiGirlz today. I am encouraged by their curiosity, passion and determination throughout the session. Science, Technology, Engineering and Mathematics (STEM) is an enabler for creativity and problem solving in young people which is why we launched the Evolve with STEM initiative to inspire belief, empower and transform mindsets of young people towards STEM.